Do you know 84% of people aged 25 and over have gum disease and it remains the main cause of tooth loss in adults? Gum disease (inflammation of the gums) is caused by sticky plaques of bacteria that grow on teeth and, when not removed by effective brushing and flossing, will harden and become tartar. This cannot be removed by brushing and causes inflammation of the surrounding tissues, which in advanced stages leads to loss of teeth. At Start-Smiling our experienced Hygienists Alison and Natalie can help prevent this by careful removal of the tartar on the teeth. They can tailor an individual programme for you to maintain optimum gum health and also prevent bad breath often associated with gum disease. More recently gum disease has been linked to other diseases in the body such as heart disease, diabetes, strokes and arthritis. This sticky plaque is also responsible for turning sugary food you eat into an acid which eats away at your tooth causing decay which then requires a filling. I am sure you can appreciate it is also important to visit your hygienist/therapist and dentist regularly. A simple routine of brushing and cleaning between your teeth and good eating habits can prevent most dental problems before they occur. 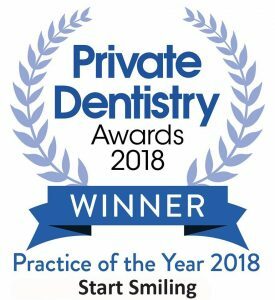 At Start-Smiling all our team can advise you on how to make small changes in your daily routine and this will make a big difference in the long run in preventing further gum disease or decay and maintaining your healthy smile. Restorative treatment ‘restores’ your mouth and gums to health. We will only undertake any work after we have investigated and explained the problem to you. After this consultation and careful planning we can provide you with treatment options which may include crowns, implants, veneers and/or root treatments. From time to time, the teeth can become damaged or infected and this may mean a portion of the tooth needs to be removed and then restored. 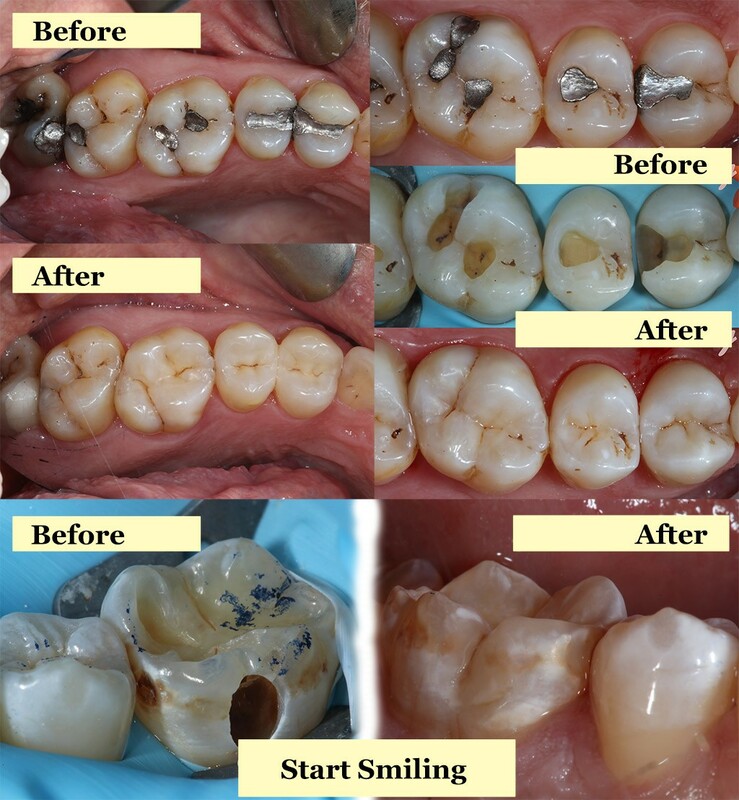 Restoring the tooth helps to preserve its appearance and function and is often a means of saving the tooth. Fillings are the most common type of restoration and are used to restore teeth that have cavities. Many people have fillings and the procedure is very simple and safe. Traditional metal amalgam fillings are still in use, but they can be unsightly and we recommend natural looking white fillings. We offer composite and porcelain fillings, which blend in with your natural teeth, creating a much more pleasant aesthetic. 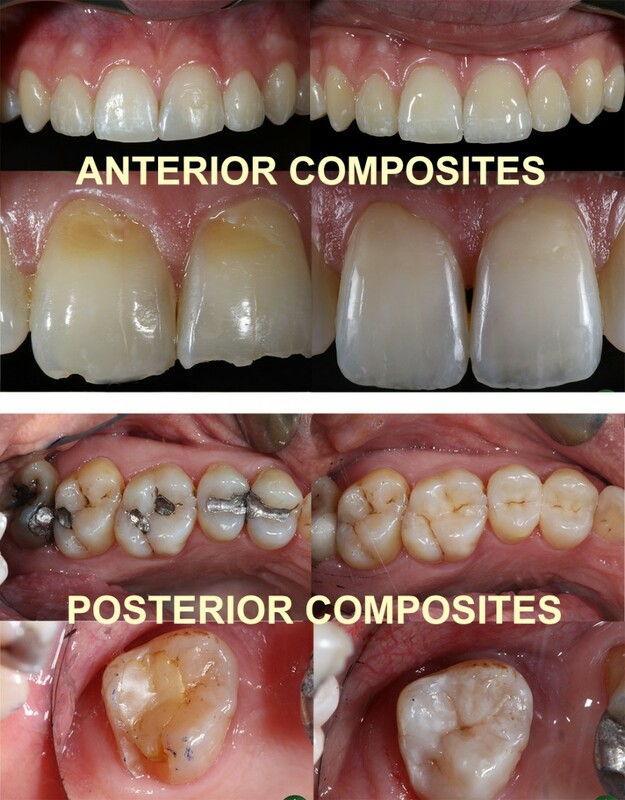 We are proud to offer our clients Cerec technology, which means that restorations can be made on-site. This reduces the amount of visits you need to make, reduces the number of injections you need and enables us to design, manufacture and fit a new restoration on the same day. Restorative treatment can make a huge difference to the way you look and feel. We know that a great looking smile can help to boost your confidence and we believe that your happiness and well-being should come first. We want you to be involved in the design process so that you get the look you want. We will discuss the options for restorations with you and help you to decide what kind of restoration best suits your individual needs.